with fear and filth and cowardice and shame. yes and lover, lover, lover, lover, lover, lover, lover come back to me. I meant it as a kind of trial. may it rise up pure and free. a shield against the enemy. 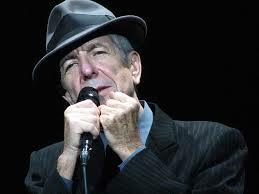 Leonard Cohen wrote Lover Lover Lover lyrics while singing for Isreali soldiers during the Yom Kippur war. The song was then produced by Mati Caspi, one of the iconic Israeli rock stars. Interestingly enough Mati Caspi also had songs which dealt with theological and philosophical aspects. 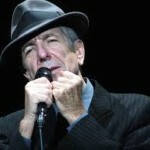 His lyrics are similar to Cohen in a way, although it’s hard to compare Hebrew songs to American. At the end of each verse Cohen sings with a very much pronounced Yiddish melody, which makes this song very Jewish in many ways. The lyrics deal with Jewish identity, and more so with Jewish identity in the State of Israel. If I can interpret the text, the new face – is the new way of relating to Jewish culture, to being a Jew in new times when there is finally a state which didn’t exist before, the state which needs protection. Old stereotypes about Jews unable to defend themselves must be destroyed. And the reply as I see it, God says that Jews already have everything they need to protect themselves, “you can use it as a weapon”, and to multiply “or make some woman smile” in order to build their state. God also says that he always protected his people and will do it again if needed. This is such a powerful and proud song, I can see how fitting it is in the context of war. Sheer brilliance.